Starting an online business can be very daunting and costly as well, but once you’ve learn how to navigate the dynamics of setting up and had tied all possible loose ends it can be rewarding. There are challenges definitely like any conventional business start-up it has rules and laws that needs to be followed. Unlike in a more developed economy, the Philippines eCommerce is still having a long way of threading not just in regulatory aspect, but also security, supply chain, warehousing, financial support as well as public awareness non-the-less the silver lining is at sight. The market has a tremendous potential in terms of future growth because of a large number of people becoming adaptive towards online shopping trends with the help of rising internet and social media penetration rate in the country. There are 2 different business model which is very prominent either B2B or Business to Business and B2C or Business to Consumer. However, it was the latter that is gaining more traction and volume. In order to capitalize on this growing online shoppers, small business need to expand the market reach. This presupposes tapping non-credit card shoppers which is a huge chunk of the consumer spectrum. The credit card penetration in the Philippines is very low according to the Credit Card Association of the Philippines it around 7.6 million as of 2013, this due to restrictive requirements implemented by the government and it could hurt the eCommerce growth if not given proper correction in the long-term. However, fear no more since there are alternatives payment solutions available like Dragonpay, ML ePay that can help SME and entrepreneurs to leverage their product marketability and keep up their competitive advantage. This alternative payment gateway is very relevant and still cost efficient. 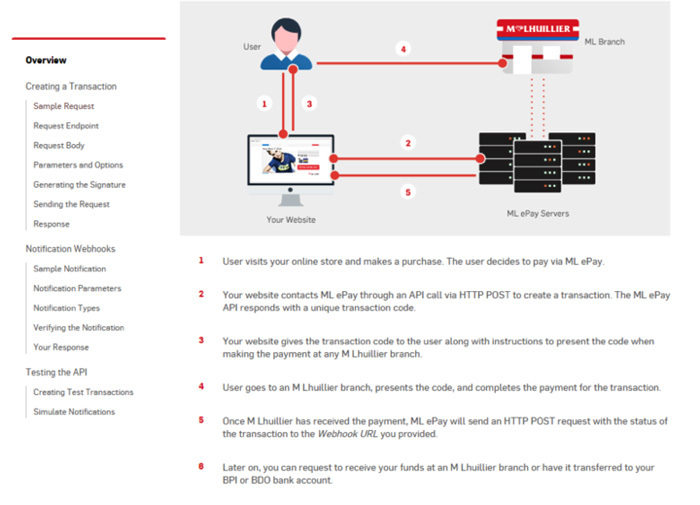 This is a very simple platform that can be integrated in any online shop and supported by the network of more than 1,500 branches owned and managed by M.Lhuillier. The payment process is very straightforward and ideal to the present market condition as well as favoring shoppers who normally uses the services of OTC-Non Bank. What normally happens is that a typical online shopper (non-credit card) check-out from your online shop and chooses to pay all purchases using MLePay or OTC-Non Bank. A transaction code will be generated and electronically mail to the shopper, this will be use as reference to pay directly to any M.Lhuillier branches. On the part of the Merchant a notification will be send directly to their Dashboard so they can monitor all payments. This is very ideal in terms of visibility as well as assuring collection because as a business you need to make sure a payment is completed prior to any shipments of your products. This process will eliminate and save time of texting or sending payment confirmation, the ML ePay platform will be the intermediary for all transactions of both seller and buyer. How To Become An ML ePay Merchant? Like any other business operating in the Philippines you need to have and required to submit the following. It normally takes few weeks to get an approval depending on the completeness of your documents. The interesting part of becoming an ML ePay Merchant is its free. 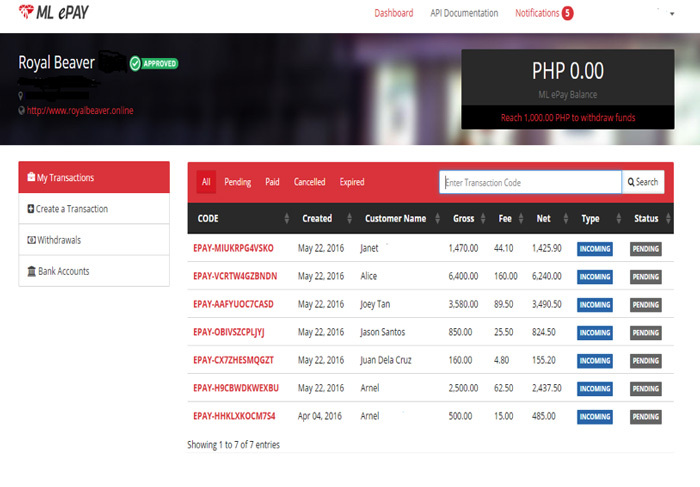 I still consider it cost efficient since some Payment Gateway are collecting between Php28,000.00 – Php60,000 as one-time set-up fee, aside from the annual fees. This is a good alternative for small business or retails shops that have few products to sell online. 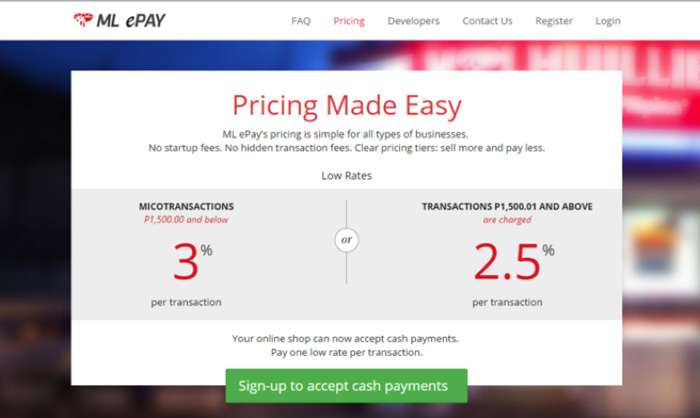 ML ePay collect fees per transactions between 2.5% – 3%. 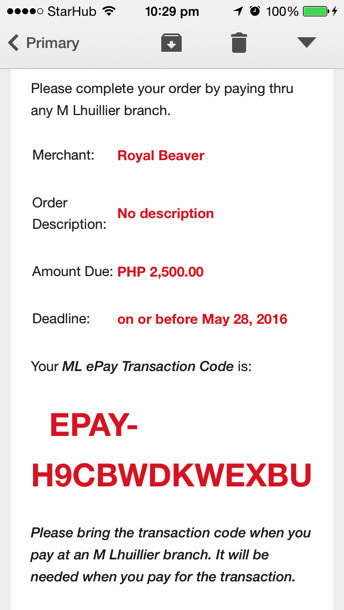 Let say you’ve been approved as Merchant of ML ePay, now you’re ready for the Application Programming Interface (API). There is a simple step that your web designer or IT guy can follow and test. All credentials will be send to the Merchant so you can start focusing on selling and let ML ePay to handle your payment collection. Arnel M. Salvador is working as a Consultant in an Enterprise Resource Planning (ERP) Software Company based in Singapore. A hobbyist photographer and blogger whose penchant in writing started since he was in the University. Arnel likes to travel and immerse to cultural diversity, amused himself to technological innovations and reading current events online. He believes everybody should dream big and has a story to tell so share it. Presently he is busy in the eCommerce start-up he founded named Royal Beaver Online.